Welcome to Literacy & Technology! Rapid advances in technology have led to profound shifts in how we live, communicate and work. To prepare our students for the world they will soon enter and for a future we cannot yet imagine, education must not only adapt to these changes but innovate. In Mr. Marc’s reading class, we are bringing together reading literacy and technology literacy into one amazing learning experience, which we have decided to call Literacy &Technology. Literacy Technology is the effective use of instructional technology to increase students’ reading literacy and technology literacy in one 8th grade reading course. In this reading program we imply Web 2.0 tools to create and collaborate on class assignments. Web 2.0 tools are revolutionary new ways of creating, collaborating, editing and sharing user-generated content online. It's also about ease of use. There's no need to download, and teachers and students can master many of these tools in minutes. Technology has never been easier or more accessible to all. Students are engaged to learn through the use of Web 2.0 tools for multimedia presentations and problem based learning. Once this course is driven by and aligned with Georgia Common Core Standards and the National Educational Technology Standards. The Net – T standards helps focus on learning and creativity, while the Net – S standards focus on communication and collaboration. The teacher uses their knowledge of subject matter, teaching and learning, and technology to make experiences that help advance student learning, creativity and innovation in face to face and distance learning environment. We are starting this incredible adventure at McClure Middle School to improve the relevance and rigor of the 8th grade reading course at McClure Middle School. We support beliefs in instructional technology that is on the cutting edge of how students will learn. Since we want to be part of the process of sharing new ideas and methods students and teachers can use to collaborate with other students, teachers, and communities to make the learning experience more interesting, exciting, and authentic in a global, online, inter-connected world. Innovating education goes far beyond just learning how to use new tools. It requires us to rethink how we teach and learn, and it calls on us to re-design our districts, schools, and classrooms for the digital age. Such foundational change is never easy, but together we can achieve it. Finally,Transform education with the guidance of the global standards for learning, teaching and leading in the advancement of the world. Literary Technology is what most schools need. Literary Technology is the infusion of technology literacy and reading literacy. In this course we imply that students will develop their understanding of how the internet and technology are used in the 21st century to provide information. In this reading course, multimedia software tools are suggested for use of instruction and learning. Students learn the effective use of various Web 2.0 tools to complete authentic tasks such as creating a webpages, websites, and other meaningful work such as newspaper articles, biographies, instruction manuals, and television ads. Web 2.0 tools are for support about revolutionary new ways of creating, collaborating, editing and sharing user-generated content online. It's also about ease of use. Therefore there's no need to download, and teachers and students can master many of these tools in minutes. Technology has never been easier or more accessible to all. Students are encouraged to engage in learning through the use of Web 2.0 tools for multimedia presentations. What is literacy & tehnology? Literary Technology is the infusion of using technology literacy and reading literacy. In this course students develop the understanding of how the internet and technology are used in the 21st Century to provide information. In this reading course, multimedia software tools are used for instruction and learning. Students learn the effective use of various Web 2.0 tools to complete authentic tasks such as creating a webpage or website, and produce meaningful work such as newspaper articles, biographies, instruction manuals, and television ads. Rapid advances in technology have led to profound shifts in how we live, communicate and work. To prepare our students for the world they will soon enter and for a future we cannot yet imagine, education must not only adapt to these changes but innovate. Web 2.0 is about revolutionary new ways of creating, collaborating, editing, and sharing user-generated content online. It's also about ease of use. Because,there's no need to download, and teachers and students can master many of these tools in minutes. 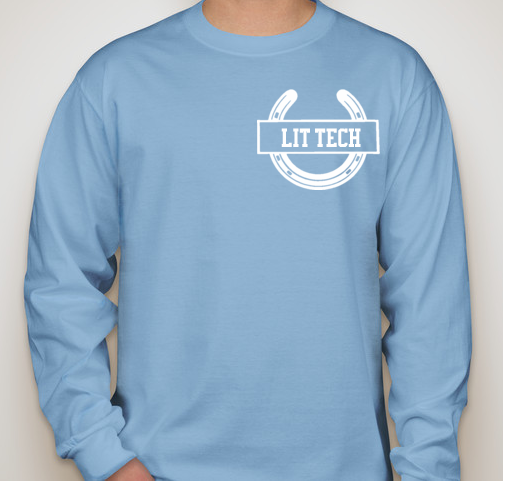 Lit tech helps support school needs. Technology has never been easier or more accessible to all. Students are engaged to learn through the use of Web 2.0 tools for multimedia presentations. This course is driven by and aligned with Georgia Common Core Standards and the National Educational Technology Standards. The Net – T standard helps focus on learning and creativity, while the Net – S standards focus on communication and collaboration. ﻿Teachers ﻿use their knowledge of subject matter, teaching and learning, and technology to facilitate experiences that advance student learning, creativity and both innovation in face to face and virtual environment. Innovating education goes far beyond just learning how to use new tools. Why? because it requires us to rethink how we teach and learn. And it calls on us to re-engineer our districts, schools and classrooms for the digital age. Such foundational change is never easy. But together, we can achieve it. I imply Transform education with the guidance of the global standards for learning, teaching and leading in the digital age. During this reading class we will focus on the following Literary text and components,Nonfiction & informational text and components,Fluency in reading and Vocab acquisition. As a result, students will gain more knowledge from this method. I suggest Literature technology is what most schools needs. Show your support for infusing reading literacy and technology! Get excited about reading in class this year. Literacy & Technology is the infusion of technology literacy and reading literacy in one classroom. In this reading course, multimedia software tools are used for instruction and learning. Students learn the effective use of various Web 2.0 tools to complete authentic tasks such as creating a webpage or website, and produce meaningful work such as newspaper articles, biographies, instruction manuals, and television ads. Students develop the understanding of how the internet and innovative technology are used in the 21st Century to provide various modes of information. Our team collaborated and designed, published, and ordered amazing t-shirts (designed by the students). It represents everything we stand for McClure, The 7 Habits of Highly Effective Teens, The Essential 55 Positive Rules for Successful Students, and Lit. Tech. We would love for you to have one too! They are at a price of just $5.00! I would also like to imply that Lit. Tech. is a great way for your student to lead not only at school, but in the global world. In our class we make an impact with the websites we create! Innovating conservative education goes far beyond just learning how to use new tools, because It requires us to rethink how we teach and learn, and it calls on us to re-engineer our districts, schools and classrooms for the digital age. Such foundational change is never easy. But together, we can achieve it. Convert and transform education with the guidance of the global standards for learning, teaching and leading in the digital age. Therefore Literacy & Technology is what most schools need. Literacy & Technology is the infusion of technology and reading literacy in one classroom. It represents everything we stand for McClure MS, The 7 Habits, Essential 55, and Lit. Tech! However, innovating education goes far beyond just learning how to use new tools. Instead, it requires us to rethink how we teach and learn. And it calls on us to re-engineer our districts, like both schools and classrooms for the digital age. Such foundational change is never easy. But together, we can achieve it. Transform education with the guidance of the global standards for learning, implies teaching and leading in the digital age. Eventually, students develop the understanding of how the internet and innovative technology are used in the 21st Century to later provide various modes of information. Finally we want to make an impact with the websites we created!